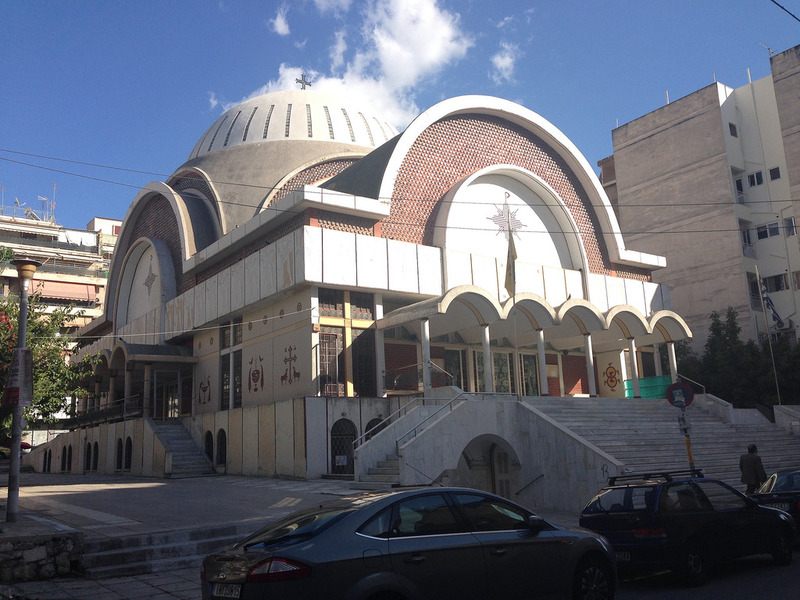 The following miracles and apparitions were recorded from personal testimonies by the parish priest of the Church of Saint Mark the Eugenikos, Father Demetrios Aggelakis, in the neighborhood of Patisia in central Athens. As the construction of the holy temple had progressed and the whole process was in a critical phase, there was a lack of money with the risk of further work being stopped and the whole venture stagnating. The agony of the priest was great and he called upon St. Mark's to help him, for which he received assurance from the Saint that the next day a gentleman would come and bring him a considerable sum to continue the work (he also mentioned the amount). 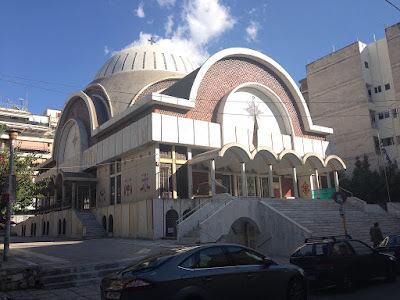 Indeed, the next day, a gentleman from Vouliagmeni came to the temple asking if it was the temple of St. Mark, and asked to speak to the priest. He replied that he already knew what he wanted. And then the unknown gentleman revealed that the previous night there came to him in a dream a monk, who was introduced to him as Mark Eugenikos, and ordered him to help financially build his home in Kato Patisia. The gentleman obeyed the Saint and offered a donation exactly the same amount the Saint had mentioned to the priest the previous night. Thus, the erection of the church resumed. A pious gentleman from Kypseli used to go to worship in all the temples on their feast days, but did not know of the existence of the Church of St. Mark. While going to the bakery, he saw a monk give him a prosphoron and telling him to bring it tomorrow to his temple. The gentleman asked: "Who are you, old man? Where is your temple?" 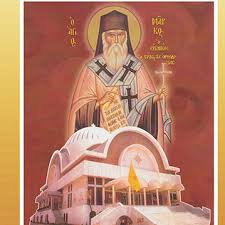 And the Saint replied: "My name is Mark of Ephesus, and my temple is in Kato Patisia." And he gave that man clear instructions where he would go, and which path he would follow for the temple. Indeed, the one who knew not of the existence of the temple of St. Mark, followed the instructions of the monk the following day and came to his temple, just as he himself had said. There are similar cases where the Saint appeared to people who did not know him and he guides them to his temple, such as a lady from New Philadelphia. In 2005, a young man of twenty years, named George, suffered from a rare illness, and the surgery he had to undergo was difficult, which had a lot of chances to fail, and most likely he would be paralyzed for the rest of his life. His mother, with tears, prayed to God for the treatment of her son. Then a cousin of hers called and told her that a monk who was unknown to her had been revealed to her, and introduced himself as Mark Eugenikos, and said: "Tell the mother of the child, I will perform the surgery for George, do not worry." Indeed, the surgery, though difficult, was done the next day with success. During the surgery between the other doctors, an unknown doctor, a friend of the family, as he said, called Mark, even in difficult spots, led the doctors through the operation. The young man was healed, and he and his family came to the temple, spoke of the incident, and thanked the Saint. In another case, in 2004, a young woman from New Philadelphia, prayed fervently to get pregnant and for God to give her a child. One evening during her prayers a monk appeared, told her he celebrated on January 19, and asked her to come to pray at his temple in Kato Patisia, and her prayer would be heard. Indeed, the woman did so, and after three days she was pregnant, she gave birth to a healthy baby, and from then on she always comes to the temple on the Saint's commemoration to thank him. In front of the Church of St. Mark, a family was crossing the street. At one point, the child escaped the attention of the parents, and then a car passing through hit the child. The parents, terrified and crying out, approached expecting the worst. Surprised, however, they saw the boy standing upright and smiling, telling them that when the car approached him, a black-haired grandfather (Saint Mark) lifted him up in the air and protected him. The parents immediately realized that St. Mark saved their child from a certain death, and they entered the temple thanking the Saint.